Food outlets will not receive certification if they do not rename the popular American dish and others such as “root beer” and “coney dog”, says the Islamic development department. Food outlets in Malaysia will not receive halal certification if they do not rename hot dogs, the Department of Islamic Development Malaysian (Jakim) said on Tuesday. The government adopted the ruling to change all food and beverage names that would confuse Muslims even though the products are halal, which means they are compliant with Muslim laws. Numerous street vendors and halal restaurants sell hot dogs in Malaysia. Sirajuddin said checks would be made “step-by-step” when these outlets renew their two-year halal certification with the department. The change applies to all food names using “dog” as well as other popular products. 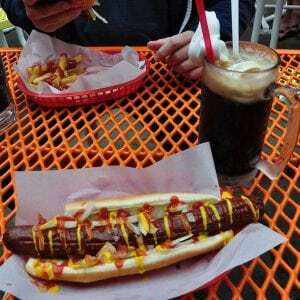 This includes “root beer” and “coney dog” — the former popularly contains no alcohol and the latter are a Coney Island twist on the classic American hot dog. Jakim guidelines for obtaining halal certification have forced many food and beverage companies to change their product names. PETALING JAYA: “Ham”, “bak kut teh”, “bacon”, “beer”, “rum”, “hotdog” and “charsiew”. These are more examples of words that will cause the Malaysian Department of Islamic Development (Jakim) to refuse a restaurateur or food producer a “halal” certificate, according to Jakim guidelines. Many outlets in Malaysia serve beef bacon or turkey ham. The list of words – which the department says will confuse Muslims – has resulted in a few popular food and beverage brands in the country having to change their product names to obtain a “halal” certificate. These include renowned fast-food restaurant chain A&W, which has rebranded the “Coney Dog” and “Root Beer” to “Chicken Coney” or “Beef Coney” and “RB” respectively. “We had to change the names if we wanted to be eligible to apply for the halal certificate,” A&W Quality Control and Halal Assurance Assistant Manager Shahidah Wahid said when contacted. A&W, she revealed, had made the changes two years ago. A quick check by FMT found that canned or bottled Ginger Beer and Root Beer produced by local manufacturers are these days marketed as Ginger Ade and Sarsparilla, respectively. The issue of “inappropriate words” for food and beverage products in Malaysia came to light again on Tuesday after it was reported that popular pretzel chain Auntie Anne’s was denied halal certification for several reasons, including having the name “pretzel dog” for one of its food items. On Monday, Auntie Anne’s Quality Assurance and Halal Executive Farhatul Kamilah Mohamed Sazali said the popular pretzel chain had submitted several options for a food product and was now waiting for a decision from Jakim’s panel. The “pretzel dog” name, she revealed, had to be changed to a more appropriate name, based on Jakim’s guidelines. Meanwhile latest reports say the franchise has been asked to change the name of its “Pretzel Dog” to “Pretzel Sausage” for halal certification. This recommendation comes from the Malaysian Islamic Development Department (Jakim), Star Online reported. “It is more appropriate to use the name ‘Pretzel Sausage’,” said Jakim’s Halal Division Director Sirajuddin Suhaimee. 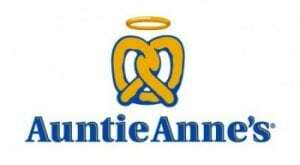 KUALA LUMPUR: The Malaysian Department of Islamic Development (Jakim) has no plans to ban “pretzel dog” from popular food chain Auntie Anne’s. Minister in the Prime Minister’s Department Datuk Seri Jamil Khir Baharom said Jakim does not intend to declare as haram any established food products “unsuitably” labelled with words such as “dog”. Jamil, who is minister in charge of Islamic matters, said Jakim is more concerned with the ingredients used to make the product, before a halal certificate could be issued. “We are not going to declare as haram, food products that are already popular. “There is no issue of Jakim withdrawing the halal certificate of the restaurant as they are still applying to Jakim,” he said. “We do not go to a restaurant without halal certification and tell them to shut their business,” he told a press conference at the Parliament lobby here. Jamil said the matter was turned into a hot issue by a fake statement made viral on social media that tried to put Jakim at fault. “It is untrue as Jakim had never declared (the product) as haram,” he said. “The obtaining of a halal certificate is voluntary and anyone can apply but it is subjected to rules and conditions,” he added. Jamil said Jakim will be holding a discussion on the status of Auntie Anne’s halal application. Jakim’s halal division director Dr Sirajuddin Suhaimee said Auntie Anne’s application had failed due to incomplete paperwork. “It was a general statement made based on the procedures in the application,” he said yesterday. Under Jakim’s 2014 Halal Certification Circular No. 2, products must not be described with words synonymous with non-halal products or “confusing” terms such as “ham, bak kut teh, bacon, beer, rum, hotdog, char siew” and the like, and must not be a local and imported finished product that are re-labelled without undergoing any processes in Malaysia. The issue was first highlighted after Auntie Anne’s quality assurance and halal executive Farhatul Kamilah Mohamed Sazali said the company had submitted several names for a food product and was awaiting a decision from Jakim’s panel. In a Facebook post on Monday, she said the “pretzel dog” name had to be changed following Jakim’s directive. She said the initial application was for all 45 outlets in the country, and following Jakim’s decision, Auntie Anne’s would change all its outlet menu boards before proceeding with a new application for halal certification.